Think of it as PREPAID. Quite simply, it means that our solar products can be paid for monthly over a long period of time. Pay-As-You-Go is a payment system that helps eliminate the high upfront cost of solar systems. THIS INFOGRAPH SUMMARISES HOW PAY AS YOU GO WORKS. STEP 1: UPFRONT VS PAYG? With Zuwa products, you can decide whether you would like to pay for your system upfront or via PAYG. Upfront purchases enjoy a lower price and no ongoing payments while PAYG offers a much smaller upfront cost but require ongoing repayments. Paying upfront means that you own your unit and enjoy all the cost-savings from solar from Day 1. By opting for a PAYG plan, you can take your system home upon payment of a 20% deposit and agreeing to the payment period that matches your product. This can range between 18 and 21 months and you can decide on a weekly or monthly repayment schedule. Cash - You can make a cash deposit at our office or to one of our agents. If you are making a payment within your payment plan, there's nothing more to do! If you are making a payment to reactivate your system, you will be supplied with a keycode to enter into the keypad on your system's battery hub. Mobile Money - You can also pay for your system via Airtel Money or TNM Mpamba. Once again, if you are within your payment schedule, there's nothing more to do until your next payment is due. If you are making a late payment to reactivate your system, you will be send an activation code by SMS that you can enter into the keypad of your system's battery hub. Once you have completed your repayment plan for your system, you can enjoy all the cost-savings that our systems can offer! Each product has a maximum payback period but of course, you can pay off your system as fast as you'd like. 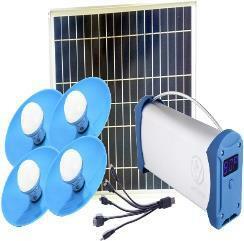 Each of our products are backed by a 2 year manufacturer's warranty on the solar panel and the battery hub. Rest assured, our products are backed by quality certifications and are built to last. Our technical support team is on hand to assist with queries and support throughout the warranty period.